When I woke up I got some breakfast, edited a couple of short Oracle Code videos and caught up with my blog posts. After that was done I went through all the work emails I’ve missed over the last week, just so I don’t have that unpleasant job to do when I get back to work on Tuesday. Once that was done a went back to bed for an hour before check-out. I know it’s sad, but I’ve had so little sleep the previous two days I felt dead. Because I fluked a business class ticket on the way out I had a baggage allowance of two cases and two pieces of hand luggage, of which I used two pieces of hand luggage. The journey back was economy, so I had an allowance of one piece of hand luggage. Why do companies sell return tickets with different baggage allowances? Luckily I didn’t have much, so I could cram it into the once bag. As soon as they announced boarding, most people ignored the queue and barged to the front. The flight from Prague to Frankfurt took about an hour. As soon as I got off I checked the gate for the next flight and it had been moved to the other terminal, so I stomped off in a bit of a panic, but made it in plenty of time. As it happened, boarding was delayed for the second flight because one of the trolley dollies was late. Once again, as soon as boarding was announced a bunch of people jumped the queue. I will not tell you what I was wishing would happen to the queue jumpers… The second flight took at 75 minutes, which wasn’t so bad. 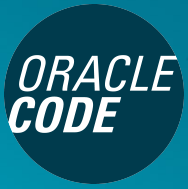 After a quick taxi ride home, Oracle Code : Prague was complete! I did all my thank you messages in the last post, but once again thanks to everyone involved for making the event go so well. See you soon!